Foam Concepts designs, packages and sells two-part, self-contained rigid pour foam systems for a broad range of geo-technical uses. Our focus is helping to solve your closure and filling problems with superior and proprietary chemical systems and packaging. Foam Concepts is the original, portable, water-blown foam system. It has even been featured on the Discovery channel TV show Dirty Jobs! If you can fill it with concrete, grout or dirt, you can fill it with foam, easier, cheaper and faster! 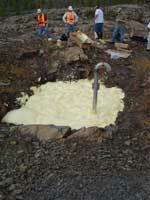 Our foam has been used to plug drill holes and core holes, for blasting, ground sealing and exploration purposes. It has been used to close abandoned mines, including subsidence features, to seal dams, rip rap and culverts and fill voids under slabs and behind shotcrete and block walls. It has been used to close hand-dug wells and to fill karst-related sinkholes. 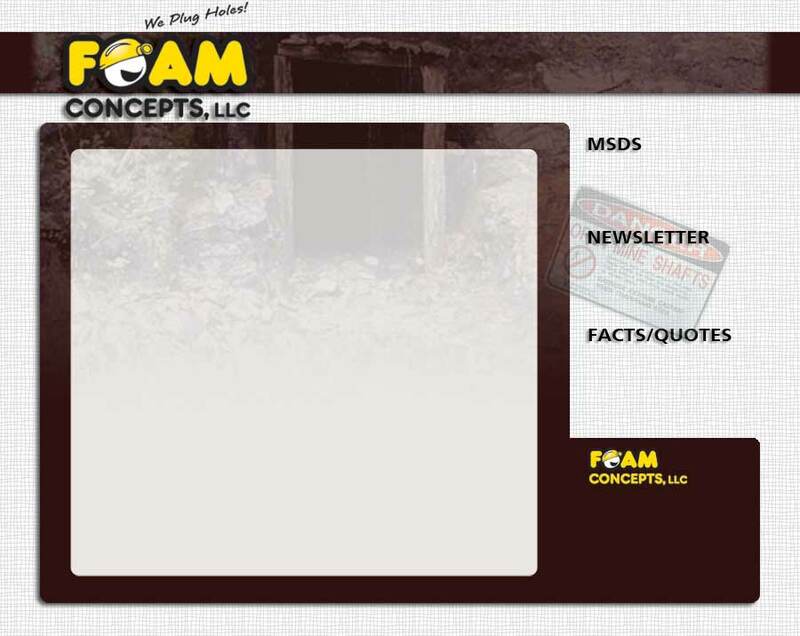 Foam from Foam Concepts has been used in 38 US States, ten provinces or territories of Canada and ten foreign countries. Foam Concepts also has 2# (co-blown) and 2.6# (100% water blown) flotation foam passing USCG Title 33, Chapter 1, Part 183. "We used Foam Concepts, LLC Equipmentless Foam Sealant (EFS) to close four shafts at h[...]"